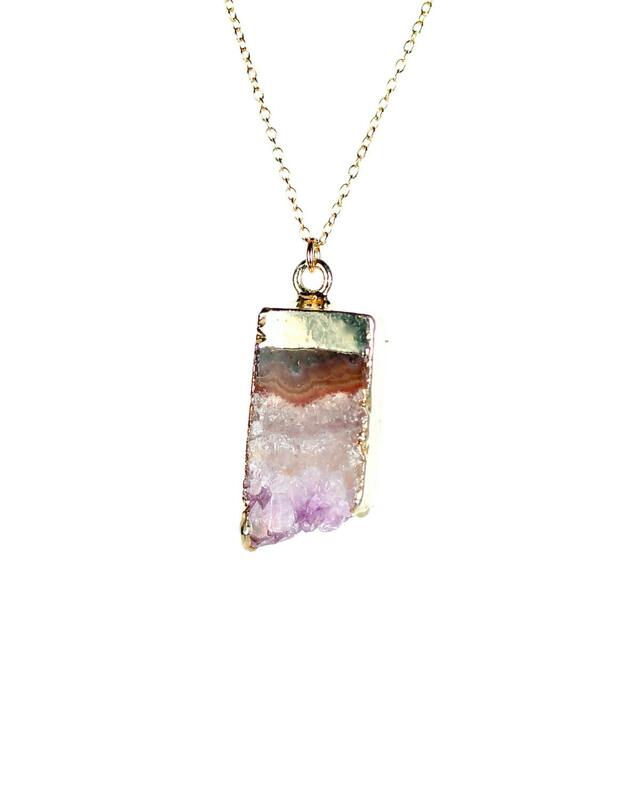 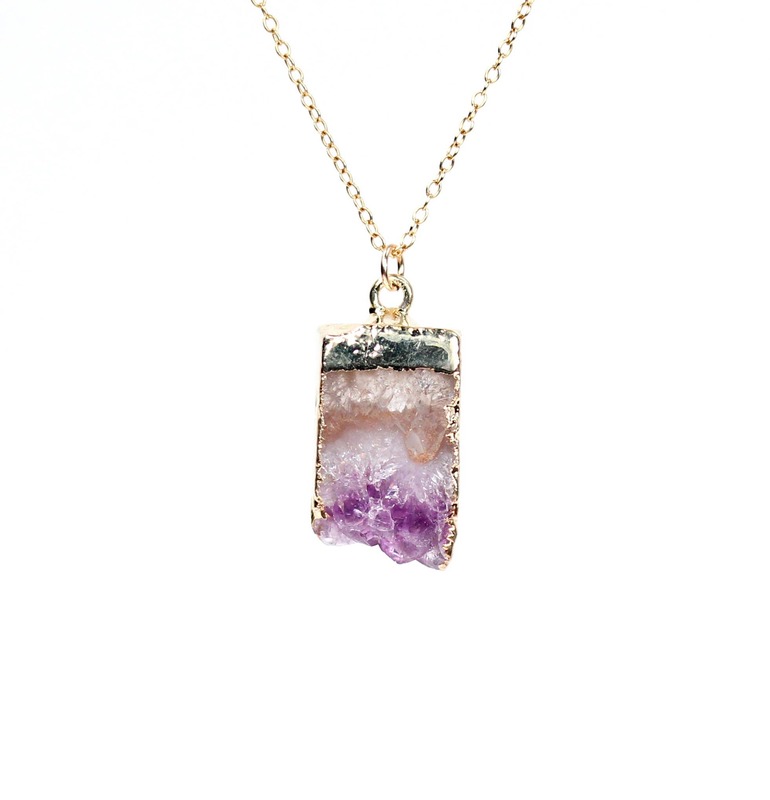 A one of a kind, gold lined, raw amethyst slice hangs from a 16 inch 14k gold vermeil chain. 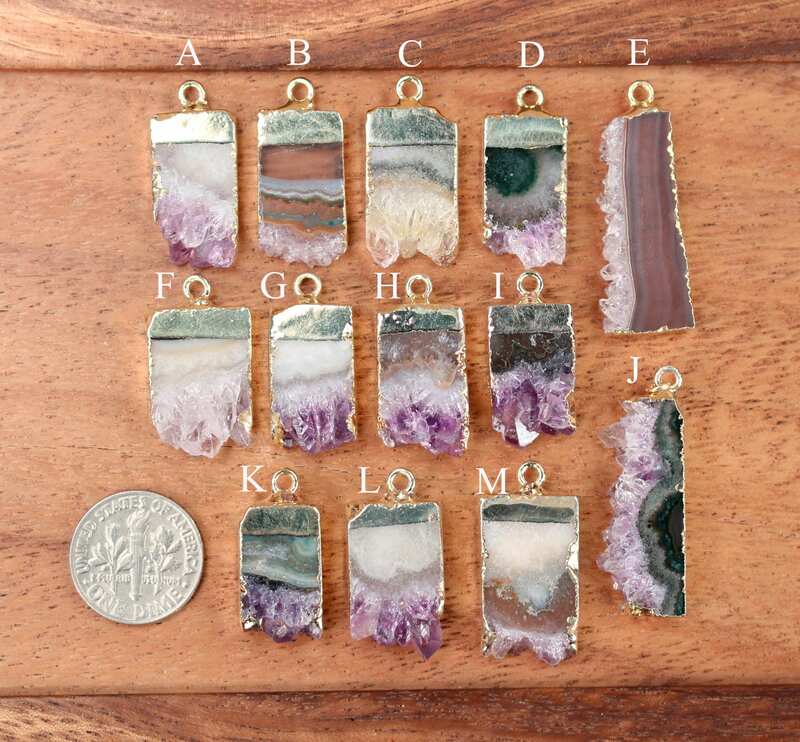 Please feel free to request a different length chain if you prefer. 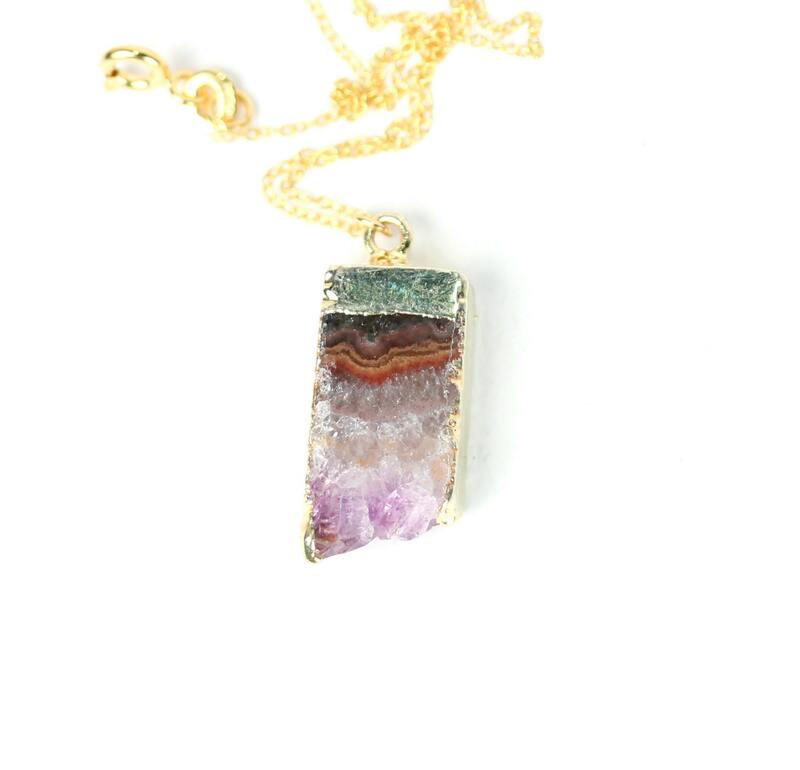 This beauty is also available on a 14k gold filled satellite chain (with the little gold spacer beads) please choose your favorite gem as shown in the fourth photo.